How do you calculate a return on investment? Hey everyone, Emily Du Plessis here from Rental Rookie and today, I’m going to answer the question – “How do you calculate a return on investment?” It’s really just a simple division problem. Take you back to what, I don’t know, maybe fourth grade or fifth grade when we were learning our division problems. But basically, you just want to take your total net profit for the year. After you’ve paid all expenses, after you’ve paid all debt service, the actual cash that you have in your hand at the end of the year from your property, you’re going to want to take that number and you’re going to want to divide it by the total cash that you invested in the property and that’s going to give you your percentage of ROI, that percentage of your return on investment that you’re going to make on your total cash that you invested in the property. Now, the cool thing about rental property is that you can kind of in a way, have control and have a guideline or kind of a line in the sand of what kind of return on investment you’re looking for. As an investor, you might be like, “I’m not looking at any properties below a 15% ROI.” That’s your prerogative. You can set that goal, set that standard and that’s your thing. Some people might be happy with a 10%. Some people might want a 20%. The cool thing about real estate is you have a little bit more control over the type of return that you’re going to make on a property and on your investment versus throwing your money in the stock market per se and hoping for maybe an 8% return for the year, but really not having much control over what actually happens to that. 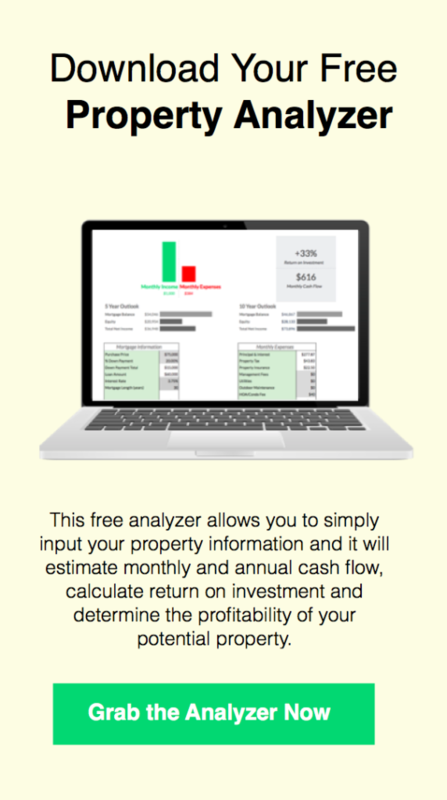 Definitely one of the perks to investing in rental property is that control, that tangibility of the investment property that you can actually take control of and predict what you’ll make.